I started to get suspicious when a reliable freelance client still hadn’t paid their invoice after 60 days and several follow-ups. My left eye started to twitch when I discovered both of my main contacts had been let go. Yesterday, after several voicemails and emails of second and third notices, I got my answer: They’re filing for bankruptcy. It wasn’t a huge invoice, a couple hundred dollars, but it was a reminder from the universe that there’s no such thing as risk-free freelancing. Businesses fail, often without much notice. Although a chronically slow-paying freelance client can be an early indicator of financial troubles, that wasn’t the situation I was in. The first slow payment was the sound of a canary, croaking off its perch and hitting the floor of the coal mine. If you find out a freelance client has filed bankruptcy, your chances of being paid in full are, unfortunately, quite low. The process for dealing with bankrupt businesses differs depending on the type of bankruptcy. USCourts.gov offers lots of information on the topic. Cease all collection activity once you’ve been informed of the bankruptcy. Find out what the process is and file a proof-of-claim form with the court-appointed trustee who’s mopping up the mess. Get in line and sit tight. Recognize that bankruptcy can be a drawn-out process, and that you’re just one of many people in the same situation. As service providers, unfortunately, we’re classified as unsecured claims, which are paid after secured debts, such as mortgages. If and when you get paid, pay the taxes even if it’s not the full amount due. It’s still income, even if only a fraction of the bill. That’s pretty much my course of action. 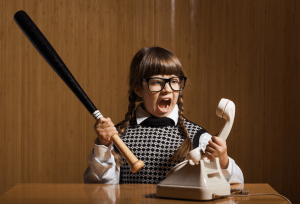 I contacted the trustee, who promptly sent me the so-called workout document, which explained the process, including the reasons for the action they’re taking. (They made an acquisition that was a financial disaster.) From reading the workout doc, the best-case scenario is that I’ll get 20 cents on the dollar. I am not holding my breath. Could I Have Done Anything Different? In the wake of this incident, I went through my actions and really don’t see that there’s anything I could or would have done to prevent it. They’d been a client for about 2 years, and had promptly paid on a half-dozen other projects. There was no mention of their financial troubles in the local media, and I still can’t find anything about the bankruptcy. I basically feel fortunate that I wasn’t on the hook for more money, which is attributable to good luck above all. Clearly, not all of their vendors were so fortunate. And I have empathy for the large number of employees who got laid off. When you lose a client, it’s reminder of the importance of diversity in your freelance client base and the industries you work in. This loss is a bump in the road, and doesn’t endanger my ability to pay the bills or feed the dogs. (My wife won’t even know about it unless she reads this post.) I’ll take up this topic in further detail in a post next week, so stay tuned! In the comments: Have you ever had a freelance client file for bankruptcy? What was the outcome? 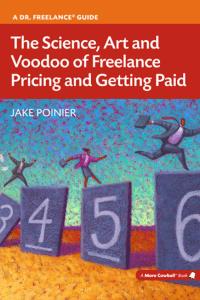 Get your copy of The Science, Art and Voodoo of Freelance Pricing and Getting Paid (paperback or ebook) at Amazon or Barnes & Noble. I have had a client declare bankruptcy, and they owed me considerable money at the time. They had gotten behind on their payments, then got caught up, then got behind, then told everyone to “sit tight, we are being bought out, everything will get paid.” Then I got the notice that they were declaring bankruptcy. I never got a dime–mostly because I didn’t sell them an asset I could reclaim. I was angry, but there wasn’t a darn thing I could do about it. Thankfully, I did have several other clients, so I could continue. Yes, freelancers definitely need more than one client! I think part of the problem is that these situations are so rare and unique that it’s hard to identify them—especially when someone assures you that everything will get paid. Thanks for the comment, Laura! Cengage, a major textbook publishing company and important client of mine for many years, declared bankruptcy three years ago or so. Fortunately I didn’t have any outstanding invoices. 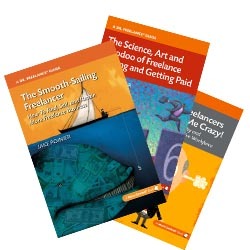 However, Cengage stayed in business and paid all outstanding invoices to freelancers and continued to pay royalties to all its authors (as far as I know). I have since continued to work for Cengage. If a company is publicly owned, you can look it up on Google finance or Yahoo finance and check its stock price and recent news items. These can give an indication of pending bankruptcy. Note that a company can be losing money and still be quite viable. Excellent tip about keeping tabs on publicly traded companies. Thanks for the comment! This is a really good post with worthwhile info. Having worked for a typesetter over 35 years ago that went thru all kinds of gyrations to stay afloat–making employees freelancers and discontinuing our medical insurance unbeknownst to us, for which they got spanked by NY States Dept. of Labor–their bankruptcy reorg finally succumbed and the place folded, owing an awful lot of people a lot of money. I was lucky, I only got screwed out of a coupla hundred bucks after all the filing and such. But my antenna have been up ever since. Interestingly, I’ve come to find self-publishers a lot more reliable–quicker payments–then any publishing company I ever worked for. Thank you, and thanks for sharing your experience, Stephen. Like you, I’ve found self-publishers to be solid businesspeople who want to have a mutually beneficial, respectful relationship. That’s what it’s all about!